Garrett Whitelock's acclaimed property management service is designed to do things differently. If you’re looking for integrity, proactivity, professionalism and value for money, you’ve come to the right place. Customer service is firmly at the heart of everything we do. We aim to keep tenants and landlords happy in equal measure, as a satisfied tenant is the key to longer tenancies, premium rents and fewer void periods for our landlord clients. We currently manage hundreds of properties in SE1 and the surrounding areas of Central London and many of our landlords have been with us since we began. When you appoint Garrett Whitelock you will be assigned a dedicated property manager who will get to know your property inside out in order to take active care of your asset. We will ensure that your property complies with all the latest regulations affecting the rental market. We can organise any necessary certification that may be required, such as an Energy Performance Certificate and a Gas Safety Certificate, as well as check any potential tenants' right to rent and ensure that your property has a licence to rent from the local council (if required), giving you complete peace of mind. Landlords using our full property management service pay no fees upfront. Instead, our competitive charges are deducted from the rent on a monthly basis to help with cash flow. We will conduct a thorough inspection of your property on a regular basis to ensure any problems and maintenance issues that your tenants have failed to tell us about are nipped in the bud before they become more serious. When your property becomes available to rent, we will proactively find new tenants willing to pay the optimum rent as quickly as possible to minimise the risk of a void period occurring between tenancies. We will also handle all the necessary paperwork, from rigorous reference checks, preparation of new tenancy agreements, inventory checks at the beginning and end of a tenancy, deposit registration and ongoing rent collection. At Garrett Whitelock we have an emergency helpline so tenants and landlords alike can contact us 24 hours a day, 365 days a year, to ensure that any problems are dealt with quickly and efficiently. Despite the many benefits, some landlords may be wary about signing up for full property management, fearing over-inflated repairs and maintenance charges. However, at Garrett Whitelock we work with a trusted team of fully insured local contractors, including electricians, plumbers and maintenance experts, and ensure that the prices you pay are extremely competitive. In fact, in most cases they work out significantly cheaper than if a landlord was to arrange the work themselves. Our commitment to fair pricing is the reason why such a high proportion of landlords choose to use our full property management service year after year. One of the many things that sets our full property management service apart is that all landlords have access to our unique online service, My Property File. This enables them to oversee everything relating to a specific rental property at the touch of a button, from the tenancy agreement, details of any tenant communications, recent repairs, inspection reports and so on. As a landlord, you can also see a detailed picture of all income and expenditure relating to your property to assist with budgeting and accounting on a monthly and annual basis. We set up Garrett Whitelock to do things properly and we guarantee that you will receive a helpful, professional and proactive service from us at all times. Our door is always open and whether you'd like some advice on maximising your return from a single rental property, or assistance with managing your entire portfolio of rental properties, including the acquisition and disposal of assets, we are here to help and guide you every step of the way. In today's market, many corporate and private tenants are actively seeking properties that are professionally managed, safe in the knowledge that any problems will be dealt with quickly and efficiently. 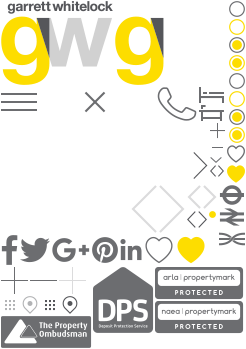 Using Garrett Whitelock's acclaimed property management service helps to give your property the edge when it comes to attracting high calibre tenants, and minimises the chance of a void occurring. Garrett Whitelock does an amazing job! We are currently based in Australia so having an agent we can trust to look after our apartment is very important. The team at Garrett Whitelock do an amazing job of looking after our tenants and our property, and their online system makes it easy for us to keep track of everything. Highly recommended! Why should I opt for full property management? No hassle, full legal compliance, happy tenants, fewer voids and low charges are just a few of the many reasons our clients have given for using Garrett Whitelock's full property management service. I'm worried about escalating repair costs. How can I be sure you won't overcharge? At Garrett Whitelock we have a 'fair repair' policy. Before calling out a contractor, we always try to assess the situation ourselves and respond appropriately. For example, if a light bulb simply needs changing, we don't rush in and call an electrician. We also work with a trusted network of local contractors and regularly review their prices to ensure all our costs are at or below market rates, to maintain a competitive edge. They were friendly and business-like and they did what they said they would do efficiently, honestly and courteously. I now use them to manage my property and I'd recommend them wholeheartedly. From the management of a single property, to taking active care of extensive buy-to-let portfolios, Garrett Whitelock provides a professional and proactive property management service to suit the needs of private and corporate landlords of all sizes in SE1 and the surrounding areas of Central London. The fee for our fully managed service is 12% + VAT, which is deducted from the rent on a monthly basis to aid your cash flow. In addition, any maintenance or repair fees, plus the cost of obtaining any necessary certificates, e.g. EPC, Gas Safety Certificate etc. in order to comply with current legal regulations will apply. Garrett Whitelock is a fully accredited member of the National Association of Estate Agents (NAEA), the Association of Residential Letting Agents (ARLA), the Property Ombudsman and the Deposit Protection Service, and abides by their strict codes of conduct, guaranteeing a professional service every step of the way. As a company, we also have Client Money Protection in place to safeguard your money from theft or misappropriation.